We’ve got a three-point roadmap for B2B growth we’ve deployed for more than 70 companies. But before you hop along on for the ride, you’re going to need to know a few things. Why’s Business So Hard These Days? Whether you’re a software vendor, a managed services provider, general contractor, engineering firm — any B2B organization — if you’ve been in business a while, you’ll probably have noticed a change over the last few years. They’re less receptive than ever to the methods that used to work. We’ll call them outbound, because they’re all about your company reaching out to customers that know little, if anything, about your business. We’re talking cold calling, telemarketing, billboard advertising, TV commercials — even print advertising. Not that running a B2B business was ever easy, but over the last century, there was at least a reliable enough blueprint for getting business beyond your networking and word-of-mouth referral efforts. Not so much, these days. What changed everything is the internet. You don’t even have to be a particularly technological firm, because the connected world is full of connected customers for B2B as much as it is for B2C. That last point is the real imperative. If you think it’s gotten hard already, with every passing year, your company will have a harder and harder time finding new business. Why? Because the first active step the vast majority of people will make when they encounter a problem isn’t flicking through a rolodex — it’s searching Google. And not just in the results. You need to be on the first page. This is where Inbound comes in. Inbound is all about understanding what your customers are looking for and capturing their attention when your solution can genuinely help them. The key difference between inbound and outbound is with inbound, your customer is already interested — at least on some level. You achieve this not with a funnel, but a flywheel. Here’s what it looks like. But we’ll explain what that actually means… a little later on. Inbound starts by examining the process behind the sale, and who’s looking for a solution. Any customer is originally completely unaware that they need or want to buy from you. When that changes, the journey has begun. To illustrate the journey, let’s say you sell services that simplify a business’s document management by migrating them from a messy conglomeration of different services (including paper) to a fully digital, one-stop software solution. Generally, a B2B customer won’t immediately know what they want. They’ll typically be experiencing some pain, often something that’s a symptom of a larger issue without being aware of that larger issue. In our example, an Office Manager, say, probably won’t start out by searching “document management system.” They’ll be looking to get specific answers, such as “how long do I have to keep tax documents?” They could be searching for an alternative to shredding documents. They might be wondering about best practices for maintaining digital archives. Your job in this phase is to educate the person not only on the immediate answers and solutions they’re looking for, but then guide them along to the benefits of the more holistic solution you offer. Most importantly, you’ve put a name to their solution: document management system. Now that they have a term to describe their solution, the customer is going to spend a lot of time learning all they can about it. They’ll want to know how many of their problems this solution can solve, what the benefits are, what the alternatives are, and what they should expect to see in any good implementation. They may start involving other internal stakeholders in the discussion. In this phase, your strategy should continue to be educational. You can talk more specifically about your service as a concept and as you approach it (but don’t get too salesy just yet). You’ll want to talk about industry best practices in document management, perhaps talk about how document management can assist in different situations and for different job roles. When you’re done, the customer is ready to make a decision. But they haven’t necessarily decided on you just yet. In this final phase, the customer has firmly committed themselves to the solution, but they still have one type of research left. They’ll be pitting you against your competitors. Price, service, features, resources, experience. All of these and more will factor into their decision. This is where you can launch into the real details on what distinguishes your service from all the others out there. It’s where your salespeople can step in armed with the knowledge of what the customer’s been looking at solving, and it’s where your marketing can start pushing your big offer pitches. If the customer arrives at this stage after having engaged with you already in the earlier stages, you’ll benefit from having been able to build up a little trust with them. So, let’s go back and talk about how your B2B actually gets to this point. We mentioned earlier that you have to be in those Google search results. The purpose of a search engine is to return the most relevant results to a particular person’s search. They’ll take into account the search term itself, keywords within it, and what they know about the person — location, search history, and so on. It’ll then return personalized results that it thinks ranks the most relevant stuff at the top. Therefore, you have to be the most relevant. Being in those most relevant results involves search engine optimization. This means a focused examination of your website and what you put on it. Everything from your metadata, your web design, your mobile optimization, the helpfulness of your content, the amount of content and how it links to itself and elsewhere, how well your content is linked to from elsewhere — and a whole lot more. Whatever you do around the content, search engines will, ultimately, reward content. This is because Google knows that people aren’t interested in going directly from searches for “how can I print fewer documents?” to a landing page that signs them up for a trial with your software on a site that contains nothing except a few feature lists and pricing. So, you need to make that content. What kind of content? You are still advertising in the inbound method, but you’re doing so in far more targeted ways than just buying space in some media platform. Search advertising gives you an edge when customers are searching for solutions to their problems. Social media advertising allows you to reach people based on very fine details — such as job role, and specific interests. And retargeting allows you to keep in contact with people who’ve already shown some interest. Often, it’s just the light nudge you need to reengage them. Marketing enablement is about putting these techniques (and more) to work for you. It’s about looking at your company’s potential to tell its story and attract the attention of leads and executing on it. And ideally, you want to do that in tandem with your sales department. Marketing is only one part of the whole equation of revenue growth. Your sales reps are out there on the front line talking with leads every day, building those more personal relationships. But are they doing it in the most effective way? And equally as important, are your other departments benefiting from their experiences? Always be helping. That’s what inbound’s all about, and that’s what should underpin every sales conversation. Yes, keep in mind that you’re moving toward making that sale, but along the way, understand that when you commit yourself to gaining a deep understanding of what your customer’s going through, you’ll be able to demonstrate how your company’s solution actually tackles that problem a lot more easily. For sales reps, this means, of course, they actually have to have that knowledge. It’s not enough to hand them a pricing sheet, tell them an industry, and have them go at it. Take care to ensure that every sales rep actually has a firm grasp on what they’re selling, and have regular meetings to discuss how that solution applies to the common pains you’re seeing out there. Sales works best when backed up with marketing. From interpreting data collected by marketing, to aligning and learning from each other, to collaborating on collateral and understanding what works best. Often, sales and marketing are operating so separately that their messaging gets completely out of sync. Marketing might be stuck on the idea that the biggest issue in document management in small offices is all the paper, while sales has realized that the companies you’re talking to have already largely moved beyond that issue and are more concerned with managing digital systems. The best results come when information flows two ways. Marketing should do its research and optimize based on its own results, but also pay attention to those conversations on-the-ground. And sales should be all over the data that marketing generates about the leads, ensuring that every time they reach out and contact someone, they’re doing so in a relevant, personal way. Just as there are enormous benefits to automating many aspects of your marketing, so too can you automate parts of your sales process. If you’re at a trade show and pick up a few hundred business cards, it’ll take you forever to enter all that data, properly segment your lists, and write up all your follow up communication. There are always those such leads you’ll want to go straight to a manual follow-up, of course. But HubSpot, for instance, allows you to scan those business cards right there on the trade show floor, enrolling your new contacts directly into sales email workflows that automatically send out helpful information and offers that you already know convert well. What sales enablement means for a B2B company is understanding the factors that limit your sales success and removing them to encourage revenue growth. It means working with marketing closely, not at arms-length, and building a helpful, trusting relationship with your contacts. How do you approach leads? Is solving their problem your approach’s priority? Are you speaking the same language as marketing? Are you paying attention to and contributing to its data? What tedious, rote tasks do you do every week that could be better handled by automation, freeing you up for more face-to-face time? The final piece in this big revenue growth puzzle is customer service enablement. You might want to, actually, rephrase that common term, “customer service” as “customer success,” as that gets to the heart of what you’re actually trying to do. You’re providing service, certainly. But in a B2B company, what you’re generally trying to do is ensure customer success. Customer success means going beyond the idea of a “satisfied” customer. Your customer has a problem: their document system is a mess. You come in with your solution and fix it. Great, they’re happy with the service. It did the job. But they’re not necessarily delighted with it. The difference between a happy customer and a delighted customer? Think about going out to eat. You’ve probably visited a lot of restaurants that have given you a perfectly fine meal. The food was cooked well. It tasted fine. You feel you got decent value for your money. But will you go back? Only if you happen to be in the area. Meanwhile, if you go someplace and you’re sat right away, the décor’s unique, you get free bread, the server gives you some genuine recommendations, the food looks amazing and tastes even better, the chef not only accommodates your dietary restriction but personally follows up to make sure they got the information right, the service is swift, and it’s all at a fair price? Then, you’re delighted. And when you have that kind of remarkable experience, not only will you yourself be back to try other items on the menu, you’re going to tell all your friends about it. It’s the same thing in B2B experiences. Organizations that provide an amazing customer experience, giving the impression of going above and beyond, are organizations that foster tremendous customer loyalty and evangelism. In terms of the growth equation, this means you’re getting cross-sells, upsells, and those all-too-valuable referrals. Achieving delight in a B2B context means ensuring you’re delivering customer success. Your solution needs to do more than simply resolve the pain point you identified way back in marketing. It has to deliver results beyond expectations. It has to improve their business in ways they weren’t aware were actually possible. It also means you need a seamless experience from their first wanderings on your website, through talking to sales, and into the phase where they’re actually getting the service. Everyone on your team needs to be aligned such that the end service matches what they’re expecting and delivering what they need. It could mean your sales reps remain in contact at least a little, ensuring that the project is progressing on time, as-discussed, hitting all the promises that were made. It could mean that marketing drops in to learn how things are going, and taking those customer experiences as testimonials to drive more business. But ultimately, it means that everyone who has contact with the customer is completely committed to ensuring that the solution produces genuine success for that customer. And here, too, you can take steps to anticipate and resolve service issues before they ever escalate to frustration. Some customers will always feel best when talking to a person, but many others are simply looking for quick fixes to common challenges. Just as you built a stockpile of content relating to the original pains that brought the customer to you, so too can you produce blogs, guides, FAQs, video tutorials, and so on, that address actually using your solution. You can even build a chat bot as a front-line interactive answer to the most common issues you encounter. In this way, rather than have to spend resources on service agents to handle routine tasks and fixes, you can make your answers available and findable allowing the customer to quickly solve their own problems and get back to work. Again, save your actual one-on-one time for building more valuable relationships. Now that we’ve gone through all three core functions relating to revenue growth, you’re probably beginning to see how each plays off the other two. The key to bringing all this together is aligning all three around the customer: the flywheel model. And that brings us to the final section. Can you identify your own happy customers versus delighted customers? What’s preventing more delight? Are sales and marketing hands off once a deal is made, or are all three constantly engaged and learning from every customer? How much time can you save by providing more automated customer service resources? Now that we’ve gone through each of the three core functions of revenue and talked about how they fit together, you might be wondering where you even start! Augmenting your business with the inbound methodology is a big undertaking that will be different for each company. What kind of content marketing works best for you? How many competitors are you dealing with — and what are their ad budgets? How can you identify the ideal hand-off point for a lead to go to sales? How many touchpoints can you expect are necessary before a deal? Where’s the best opportunity for conversion on your website — are you missing out? Is getting started with you a big ask, or do you have a free option to encourage upgrades from? Are you able to deal with most of your common customer issues via automated self-service? 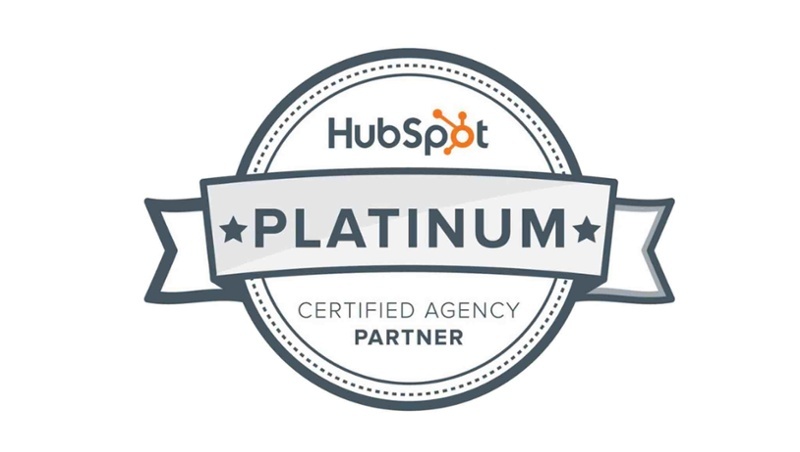 Our preferred tool for bringing it all in is HubSpot. It’s a powerful CRM capable of… everything, basically. You get that complete view of your deal pipeline. That means you’re building that critical data that helps you improve your approach with every deal made. It also means you’re able to stay on top of customers after they convert, and identify both those who’re on track to becoming a potential evangelist, and those who’re having some trouble. Being able to step in to offer a helping hand when you spot a customer looking through your knowledge base before they grow frustrated will go a long way in keeping them happy — and pushing them through to delight. Just keep one thing in mind. A hammer’s no good if you buy it and expect it to just work. And it’s especially no good if you start smacking nails every which way without actually learning proper hammering technique. You don’t want to hammer away at your business without thinking it through same as you don’t want to stick a nail in your fence at a completely random angle and position. You’ll split your wood. And you may end up harming your business. Getting the most out of HubSpot takes a deft, knowledgeable touch. If you’re a little apprehensive about it? That’s where we come in. Want to See Revenue Growth? Hire Flawless Inbound! Here’s the pitch, of course! We didn’t just get into inbound yesterday and just make all this up. We’ve adopted and adjusted our approach based on having helped 75+ B2B organizations get this stuff running. We’ve collected an expert team of content producers, web developers, marketing technologists, and account strategists to put the inbound methodology into practice and guide our clients toward the revenue growth they’ve been chasing. Get in contact with Flawless Inbound and we’ll have you set up with a slick inbound process through HubSpot in no time. Whether you’ve never touched HubSpot or inbound at all, started implementing it on your own, or already have a machine you just want to take to the next level, we’ve got a full suite of sales, marketing, and service enablement programs just waiting to work for you. Don’t have time for that extra step? No problem. Like we said, you can get yourself started right here. Answer a few questions to help us understand your situation, and you’ll have our full attention.